# Create artificial data to plot. 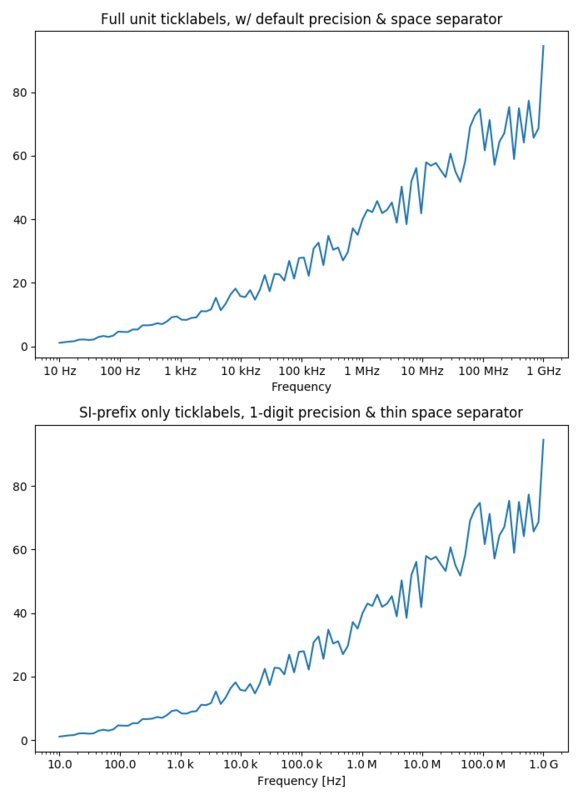 # The x data span over several decades to demonstrate several SI prefixes. # Figure width is doubled (2*6.4) to display nicely 2 subplots side by side. # Demo of the default settings, with a user-defined unit label. # `sep` (separator between the number and the prefix/unit).